Azure is becoming the world’s computer: Azure | Azure Stack | Azure IoT Edge | Azure Sphere. Azure IoT Edge runtime which runs on Windows or Linux is now being open sourced. Microsoft showed off Cortana and Alexa integration which was pretty cool. New Azure AI infrastructure announced: Project Brainwave which is a real-time AI on cloud and edge devices. Announced Project Kinect for Azure, an Azure AI-enabled edge device. Visual Studio Live Share is now generally available. This provides real-time collaborative development, shared debugging, independent views and works across Visual Studio and Visual Studio Code (Windows, Mac and Linux). Azure Event Grid is getting new improvements like dead lettering (DLQ) and custom retry policies. Event Grid is also adding new event publishers for Azure Media Services and Azure Container Registry, and new event handlers for Storage Queue and Relay Hybrid Connections. Finally Azure Event Grid is providing an alternative form of endpoint validation. Event Grid provides reliable event delivery at massive scale (millions of events per second), and it eliminates long polling and hammer polling, and the associated costs of latency. Azure Cosmos had some interesting updates like the new multi-master write support. It also provides API support for MongoDB, SQL, Table Storage, Gremlin Graph, Spark, and Casandra. Azure Search now integrates Azure Cognitive Services to provide built-in enrichment of content using AI models, and it enables immersive search experiences over any data. 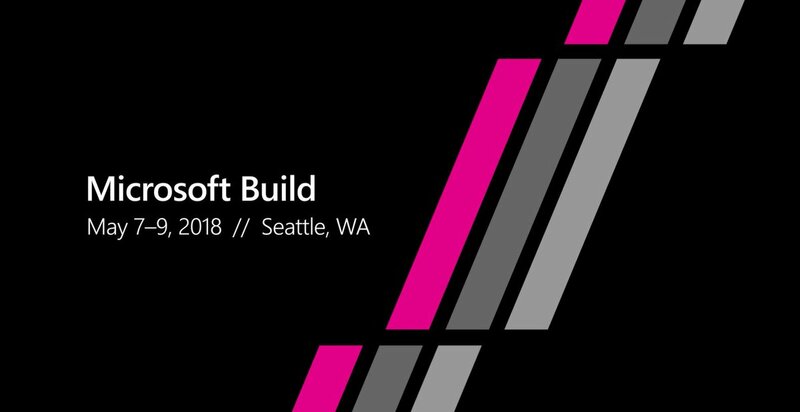 The Fluent Design System which Microsoft first debuted at Build 2017, is expanding beyond Universal Windows Platform (UWP) apps and will be available for Windows Forms, WPF and native Win32 applications. Windows Timeline is coming to iOS and Android. Azure Functions updates: Durable Functions reaches general availability, and Azure Functions now leverages the App Service Diagnostics. Visual Studio 2017 version 15.7 and the next update version 15.8 preview 1 were released. Visual Studio App Center integration with GitHub. Visual Studio IntelliCode announced, which brings you the next generation of developer productivity by providing AI-assisted development. This already feels like a lot but really it’s just scratching the surface. I’m looking forward to what is announced today in the keynote followed by more technical workshops and sessions.